Kevin Harvick is headed to Texas Motor Speedway in Fort Worth for this Sunday’s Monster Energy NASCAR Cup Series O’Reilly Auto Parts 500 ready for a showdown. The driver of the No. 4 Busch Light Ford Fusion for Stewart-Haas Racing (SHR) is off to one of the best starts of his Cup Series career, but that fresh start actually began with Harvick’s Cup Series win at Texas Motor Speedway in November 2017. In the nine Cup Series races since the series last visited the Lone Star State, Harvick has scored a series-best four wins and 471 laps led, as well as seven top-five finishes. In fact, only Martin Truex Jr., and Kyle Busch have scored more than Harvick’s 338 points over that span. Last November, Harvick started third, led 38 laps and took the lead with only 10 laps remaining to secure his first Cup Series victory at Texas by 1.580 seconds over Truex. The native of Bakersfield, California, has three Cup Series wins early in the 2018 Cup Series campaign, scored in back-to-back-to-back fashion at Las Vegas Motor Speedway and ISM Raceway near Phoenix, both over runner-up Kyle Busch, and Atlanta Motor Speedway, where Brad Keselowski was the runner-up. While Harvick and the No. 4 team have visited victory lane a series-best three times in six 2018 events, the team ranks seventh in the Cup Series standings, 45 points behind leader Kyle Busch and 37 points behind second-place Truex. What should make this weekend at Texas truly a showdown among Harvick, Truex and Busch is their history over the last 10 races on 1.5-mile racetracks. Truex ranks first with six wins, 940 laps led, 10 top-five finishes, 492 points and a 2.0 average finish over that span, while Harvick ranks second with three wins, 733 laps led, 462 points, seven top-five finishes, 10 top-10s and a 4.1 average finish. Busch ranks third with 387 points, 522 laps led, while scoring five top-five finishes, seven top-10s and three poles. Harvick, the 2014 NASCAR Cup Series champion, continues to put together strong performances at Texas. He has scored five top-five finishes in his last seven Cup Series starts there. He has also started in the top-five in seven of the last eight races at Texas, including from the pole in April 2017. Harvick will also see added track time this weekend as he runs the No. 98 Hunt Brothers Pizza Ford Mustang Saturday afternoon in the NASCAR Xfinity Series. He swept his only double-duty attempt so far in 2018, capturing his 98th and 99th career wins in NASCAR’s top-three series with wins in the Xfinity and Cup Series at Atlanta in February. 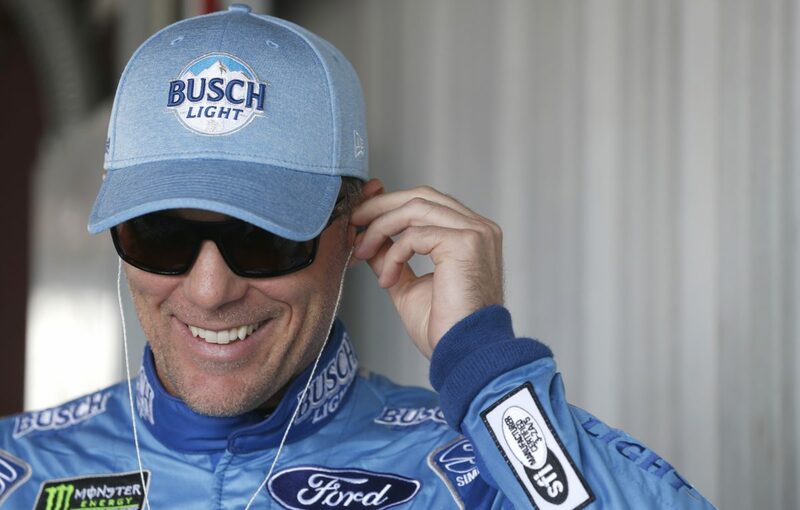 While Harvick leads the Cup Series with three wins and 11 playoff points through the first six races, he still would love nothing more than to win the race and both stages to add some space in the playoff standings over second-ranked Truex and close the points gap to leader Busch. What makes Texas such a unique racetrack since the repave? What are the most challenging parts of the Texas Motor Speedway racetrack?